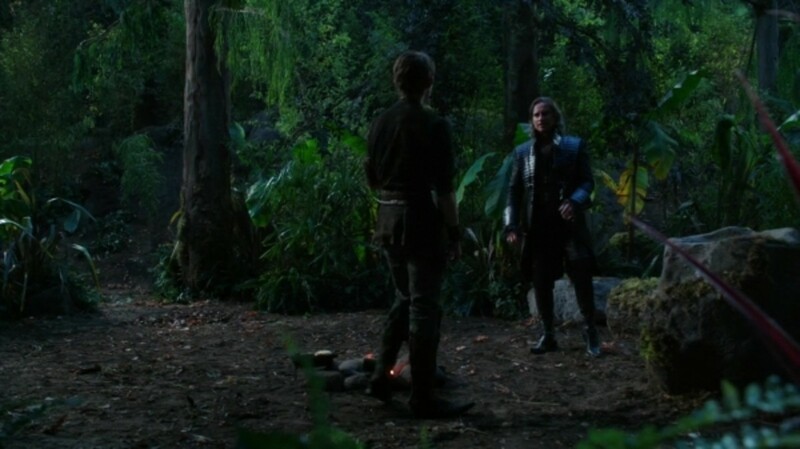 Second chances seemed to be the theme of Sunday night’s episode of Once Upon A Time. Was anyone worthy of another chance at making something right? Check out the Top 5 Moments from OUAT’s “Ariel”. Ariel (JoAnna Garcia Swisher) made a deal with Ursula, who was really The Evil Queen (Lana Parrilla) in disguise, to keep her legs and be with her true love. After the deal was done, Ariel ran to Snow White (Ginnifer Goodwin) and told her about the arrangement. Ariel gave Snow a bracelet, which allowed Ariel to keep her legs and Snow would get Ariel’s mermaid tail. Ariel thought she did Snow a favor by giving her the tail, because she could go to Ariel’s land and be safe from The Evil Queen. Snow screamed Ursula wasn’t real, but Ariel didn’t believe her. However, TEQ showed up and informed Ariel of the truth. The Evil Queen insulted Snow, and Ariel realized she had been tricked. TEQ ordered Ariel to leave, or she would suffer the consequences. Ariel refused, because she didn’t want to see Snow hurt. Snow begged Ariel to run, and TEQ urged the girl to follow her friend’s advice. Ariel apologized to Snow, and begrudgingly left. TEQ immediately Darth Vader choked Snow White, but Ariel returned and stabbed TEQ in the neck with a fork! Ariel removed Snow’s bracelet, regained her tail and jumped in the water with Snow. She took Snow to safety, and thanked her for all her help. Ariel returned to Prince Eric’s castle, but unfortunately, couldn’t speak when she tried to yell for him. TEQ appeared and informed Ariel she took her voice, because there are no second chances. Will Ariel and The Evil Queen ever cross paths again? Rumpelstiltskin (Robert Carlyle) attempted to see the future with his magic, but Peter Pan (Robbie Kay) interrupted him. Pan informed Rumpel it was impossible for him to see the future in a place where time doesn’t exist. 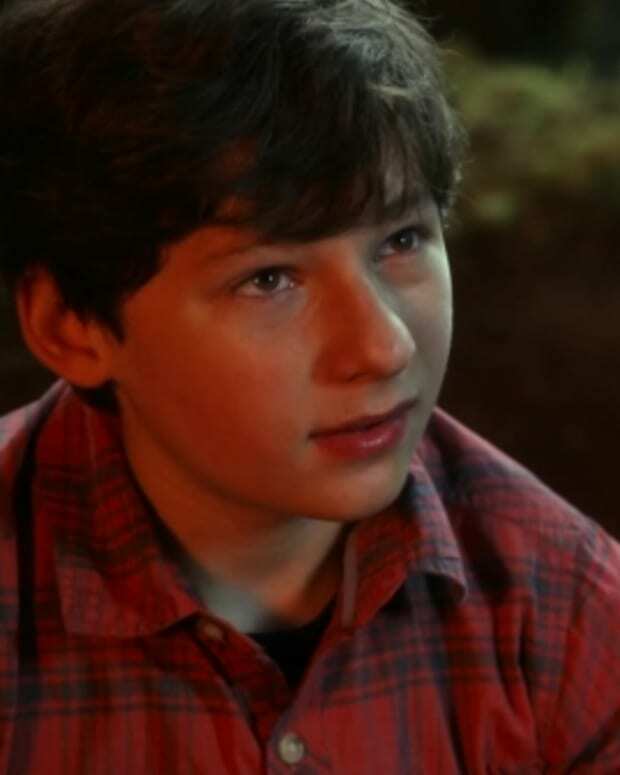 Pan taunted Rumpel with facts about his son, father and Henry (Jared S. Gilmore). He knew Rumpel would have to die to kill him. 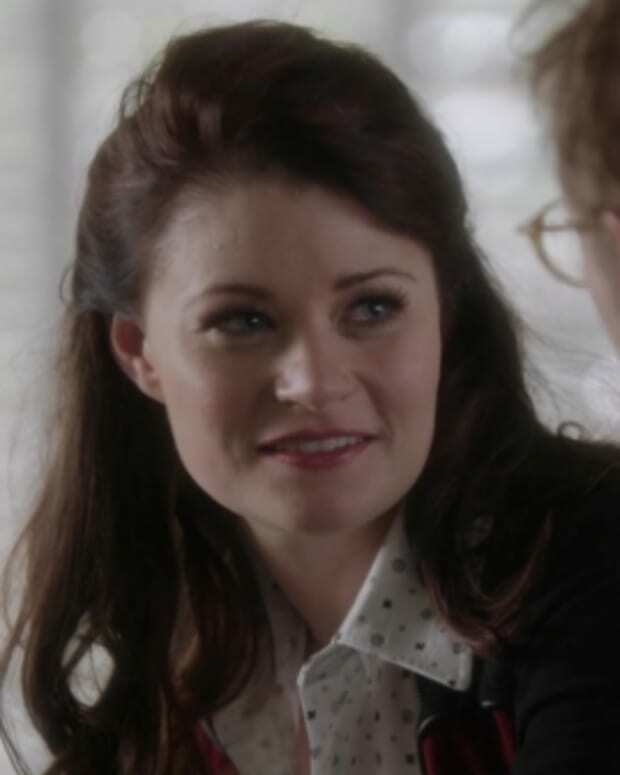 Pan suggested Rumpel return to Storybrooke to Belle (Emilie de Ravin), and start a family. He declared it is the only way Rumpel will survive. Will Rumpel stay true to his coward past and go back to Belle? The group found out Neal (Michael Raymond-James) was alive and in Neverland. Captain Hook (Colin O’Donoghue) believed he knew where Pan might be hiding him, and led everyone to “The Cave of Echos”. The cave was special, because in order to get what one desires, one must share their deepest darkest secret. 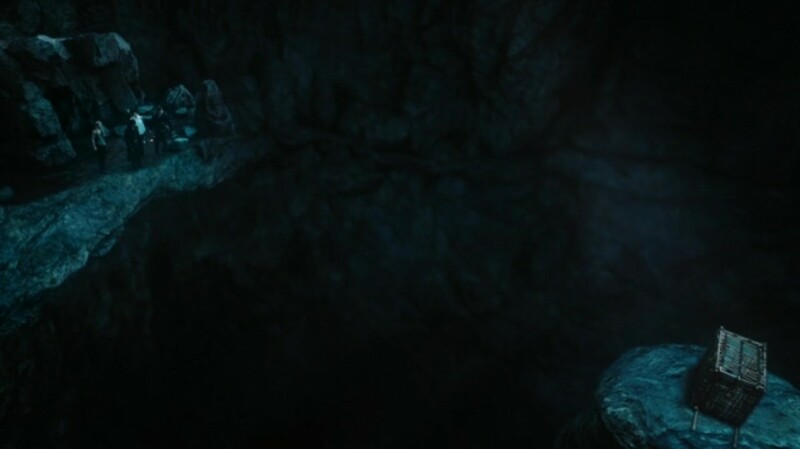 Inside the cave, the group found Neal trapped in a box on a small isolated rock platform. Hook explained once everyone divulged their secrets, a bridge would form to Neal. The group remained skeptical, so Hook showed them how it worked. He confessed he was in love with Emma (Jennifer Morrison). As soon as he finished speaking, a piece of the bridge developed. Mary Margaret was up next. She admitted she resented the fact Emma grew up without her real parents. 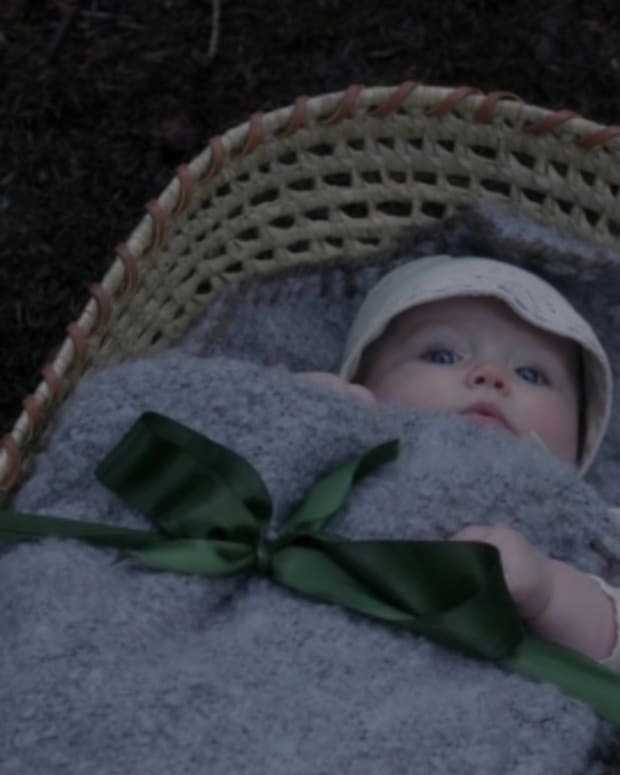 Mary Margaret wanted to have another baby with David (Josh Dallas). Another piece of the bridge appeared, as David stepped up to the plate. He loved Mary Margaret’s idea, but knew it couldn’t happen. He told her about the Dreamshade arrow, and how Hook cured him. He can ever leave Neverland. The ground shook, and the bridge was completed. Emma crossed the bridge to Neal, and tried to break open the box. Neal stopped her, because they both knew what she had to do for the box to open. She came clean about her feelings for Neal. She will always love him, but hoped he was dead. If Neal was dead, Emma wouldn’t have to deal with all the pain of their past. Emma broke down, and the box faded away. Neal hugged Emma, and they escaped “The Cave of Echos”. With everyone’s secrets out, can they still come together to rescue Henry? Emma apologized to Neal for the way she felt about their relationship. Neal told Emma she had every right to her feelings, but he had a confession as well. He vowed to never stop fighting for her, no matter what. Emma and Neal had no idea Hook overheard their entire conversation. He was less than thrilled at Neal’s secret. Who will win the battle for Emma Heart: Captain Hook or Neal? Regina found Rumpelstiltskin, and choked out his vision of Belle. Rumpel begged Regina to stop, but she refused. “Belle” turned out to be The Shadow, and it was exposed she had been the whole time in Neverland. Regina had enough of The Charming’s, and knew she needed Rumpel to save Henry. Rumpel informed Regina the only way to save Henry was for him to die. Regina thought Rumpel had lost his mind, because the only person who was going to kill him was her. She told him to buck up, because they have to find another way to kill Pan and save Henry. Rumpel remembered he might have a way to kill Pan, but the item is back in his shop in Storybrooke. Regina deduced they needed to get back to his shop, retrieve the tool and return to Neverland. Rumpel reminded her they would have to cross realms in order for her plan to work. Regina was very aware, and already had an idea to make it happen. Regina led Rumpel to the sea, and summoned Ariel with a seashell. Mermaids have the power to cross realms. Regina returned Ariel’s voice and asked her to take them to Storybrooke. Ariel refused, but Regina promised to give Ariel what she wanted: Eric (Gil McKinney). She conjured the bracelet from The Enchanted Forest into Ariel’s hand, and declared Eric was in Storybrooke. Will Ariel help the woman who took everything away from her?